Check out additional reviews online from past clients! Haley and her assistant Deahne are absolutely amazing! They are both so professional, personable, and reliable!! They were on top of everything for the wedding and accommodations. They really do care about each and every person. I feel like they are my friends helping me out! We already decided on returning to the resort for our 1 year and will be definitely using Haley again!! I cannot write enough positive words to describe Haley and Deahne! Overall experience was amazing and my husband and I, along with friends and family will never forget it!" You seriously made our wedding planning so much easier. I love how we didn't have to stress about getting rooms booked and sending out reminders. You are seriously the best! Thank you again!" Haley was an amazing partner to handle all travel and accommodations for a wedding that my business was planning for a client. She was so responsive, knowledgeable and even helped solve any small issue that came up. Thanks Haley!!!!" 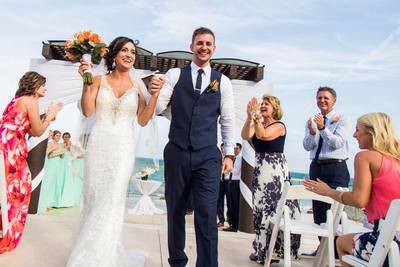 Destinations HD helped find the resort to make our beautiful wedding day a success. Haley did an excellent job of arranging all travel and answering every question in a timely manner. Reminders and suggestions to make traveling easier were incredibly helpful. 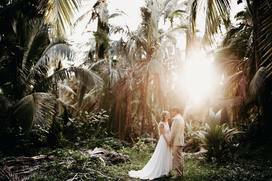 I would 100% recommend Destinations HD for any destination wedding." Thank you so much for all these travel tips! I would've never thought about many of these - we appreciate the advice. You are seriously awesome!" Can I just say thank you for all that you are doing for my friends wedding!! The constant communication, tips, and updates...LOVE IT!! I know I'm less stressed and I'm sure they feel the same!! Thank you so much!" Destinations HD was recommended to us when we began planning our destination wedding. This was the best decision we made! Haley asked what we envisioned for our wedding and honeymoon and provided us options on resorts based on what we discussed. Haley was proactive in her communication and always made sure planning was going smoothly. She made sure our seasoned guests and first time international flyers were prepared to travel for the wedding. She also provided our guests with helpful tips in regards to all aspects of the trip. It was wonderful having Haley as a resource. This kept us from being overwhelmed with questions from our guests. We plan to utilize Destinations HD services when planning our first year anniversary!" We were looking to ease some wedding-planning stresses when planning our honeymoon and Haley did just that. She was very prompt in her initial reply and those thereafter. We wanted to travel to somewhere we had never been but somewhere affordable at the same time. Haley recommended the Dominican Republic and we absolutely loved it! She was so organized and had our travel information neatly typed and ready to go when we met in person with her. After a stressful year of wedding planning it was definitely refreshing and nice to have someone else planning our honeymoon for us! She had been to Punta Cana before and was very knowledgeable of the location and popular excursions and attractions. Our honeymoon was perfect and Haley checked in with us following our trip to ensure everything went well. We will be using her for trips in the future! Thanks Haley!" Haley Davis was amazing to work with! I highly recommend her for planning a destination wedding. 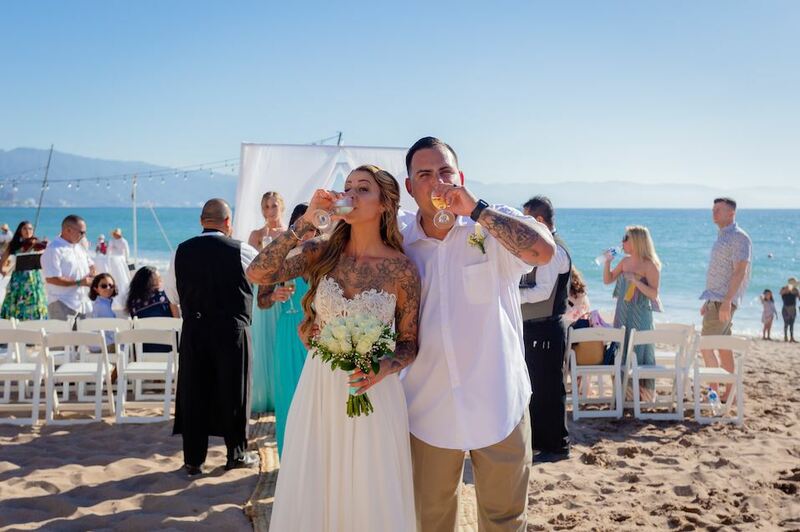 My experience (as the bride) and per our family members that attended the wedding and worked with her to set up this travel, Haley was superb to work with. She was very responsive to any questions or concerns that arose and her organization was so helpful in planning this important event. She went above and beyond to send us travel tips about the airport, transfers, and resort that saved us an immense amount of time and allowed for a relaxing travel experience. I have never had such a good experience with a travel specialist and will continue to work with Haley for all of my future travel needs. If you are planning a destination wedding, or any kind of vacation, I highly recommend you speak with Haley to find out how she could assist you. I cannot describe enough how much help she was for us and her prices are great for the fantastic service you receive, so please reach out to her!" I stumbled across Haley at Destinations HD via posts on multiple wedding boards. When I started looking into her more, I found so many amazing reviews. Now I get to be one of those!! This was the first time I have ever used a travel agent. I am generally the “do it yourself”, “find the cheapest way” type of person, so I was really stepping out of my comfort zone. I was immediately put to ease the very first time I talked with her! Haley is so sweet, and you can tell that she loves what she does! She is a people pleaser in every sense of the word! She took care of every little detail of our trip! She gave our honeymoon so much attention, all we had to do was show up! I can’t say enough great things about Haley and Destinations HD! I feel like this review is exclamation point overload, but that just goes to show how happy we’ve been with her services! Haley is simply amazing! Thank you for making our honeymoon so easy, and absolutely unforgettable!" We had a wonderful experience working with Haley! We were going on vacation for a wedding in Mexico! The bride set everything up with Haley. Haley would always send us important information we needed to know! As we got closer we would get weekly emails about everything! She set up all the transportation to and from the hotel. We got in the mail all our travel documents we needed and a little black pouch to keep it all in!! The resort we stayed at now Sapphire was absolutely breath taking and we can't wait to go back! We will def. be using Haley in the future for all our travel needs!" I was very impressed with Haley's professionalism, communication, travel assistance, and everything else she provided since Day 1 of the destination wedding planning process. I'm attending another destination wedding in Mexico later this year and I can say without a doubt, Haley made the planning for this trip a MILLION times easier and smoother. The bride and groom were VERY wise to choose Haley!" 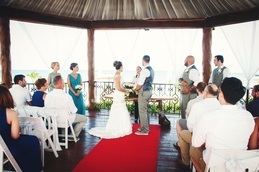 This is the way to go if you want a stress free way of planning a destination wedding and/or honeymoon. 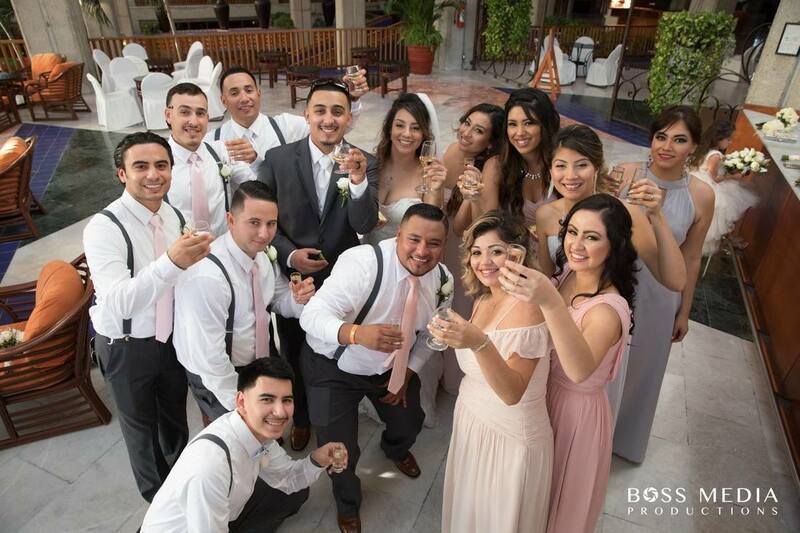 Family and friends make wedding planning stressful enough, it was such a relief to have Haley step in and coordinate with the family and the resort." Haley made planning my destination wedding a breeze! I was vastly overwhelmed by all the beautiful beach resorts I was finding online and Haley helped me narrow down my options based upon my wants/needs/price for my wedding abroad. She took care of contacting all of my guests and promptly answered any questions that would arise. She set up all the hotel airport transfers so my guests didn't have a thing to worry about. Our dream wedding turned out perfect and could not have imagined a better place to have it. I will definitely be using Destinations HD for future travel plans, including our Honeymoon!" Haley made my destination wedding process so simple and seamless. She not only provided options and travel details, but also helped to make sure I got everything that I needed from the wedding coordinator in a timely manner. From the 1st moment I met her all the way through picking a location, working through the details and many questions, calls and emails she was wonderful and made the entire process seamless and simple. I was truly able to just relax and enjoy everything! Thank you again!" Haley planned my 30th birthday trip to Puerto Vallarta and did a spectacular job! Every detail was accounted for and she was very helpful every step of the way. I can't believe how smoothly the travel, accommodations and the recommended excursions went! If you are looking for a care-free vacation, Haley and Destinations HD is the way to go!" I booked my reservations as part of a wedding group to Cancun through Haley. I was the one person in the group that had problems with the airlines rescheduling my flights and then delays in the airport due to weather. I missed all my connecting flights. It was so nice to have Haley call me before I could even stop and call her. I was standing in a line that was probably a 3 hour wait to re-book my flights and Haley called me back in 5 minutes and had it done. She then booked me a hotel room that was close to the airport with a free shuttle. She also texted me when I got to my hotel room just to make sure I got checked in ok. I didn't have to do a thing, she took care of it all and was so awesome at every bad luck turn and got me back on track. Thank you, Haley, for the calming voice on the line and for going way over the top to make sure I made it to my destination for a fabulous vacation!! You ROCK!!" Our first trip out of the U.S was made incredibly easy! HD provided us with around the clock communication, helpful tips, and even mailed us our agendas and fun places to visit while on our honeymoon! Will definitely do business with her again :)"
We booked this trip through Haley Davis for a family wedding. Everything about the trip was perfect. What sent everything over the top was the service provided by Haley. Anytime we had a question or request, she handled everything promptly and exceeded our expectations. We would highly recommend booking your next vacation with her."